Top of the range Daimler Limousine with West of England cloth interior and walnut door trims and dashboard, finished in Westminster blue and cream paintwork. Passengers are seated behind an electrically operated glass division which when employed gives complete privacy from the front compartment. The car also has a flagstaff on the bonnet which gives a clue as to its past history. Originally owned by the City of Westminster this was the official car of The Lord Mayor of London. We have photographs of the car on its way to a state banquet in honor of Nelson Mandela at Buckingham Palace. 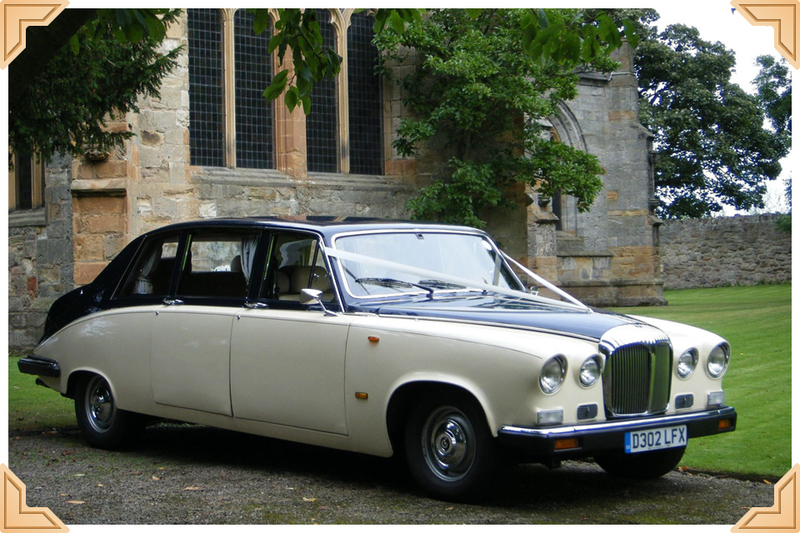 Perfect as the main bridal car or for bridesmaids and family as a following car. Provides seating for up to 7 passengers.